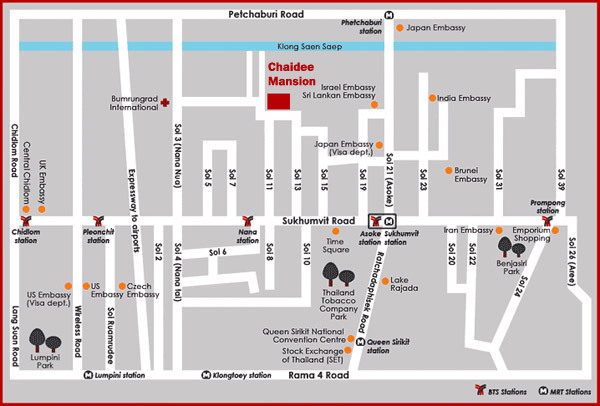 Address: 31/3-5 Chaidee Mansion, Sukhumvit Soi 11, North Klongtoey, Wattana District, Bangkok, 10110. If you have any problems with your reservation or want to make a general enquiry, please fill the form below and we will respond within 24-hours. If you require immediate assistance, please call the appropriate telephone number above.